This Memorial Day remember to pray for our service personnel and for those families who’ve lost loved ones in the service of our country. This Sunday I’m closing out my sermon series on prayer. The sermon is, “Obey and Pray,” from 1 John 3:18-24. The Beloved Disciple wrote, “Whatever we ask we receive of him because we keep his commandments and do those things that are pleasing in his sight.” Many times God is waiting for us to be obedient so that he can answer our prayers. Everything comes from God by grace, but he graciously decides to answer our prayers in such a way that he will reinforce good behavior, not bad. If I told my young child to obey and he refused, would I then give that child whatever he requested? No. I would demand obedience first so that he wouldn’t lose respect for authority. Likewise, we sometimes don’t get what we ask of God because we’re being disobedient. Therefore, let’s repent so that we can watch God miraculously answer our prayers! By the way, this Saturday is another flyer distribution for Vacation Bible School at 10:00. Enjoy the beautiful weather with us as we spread the word in our community! All leaders, committee members and staff are encouraged to attend. We will be preparing for the upcoming semi-annual business meeting scheduled for June 25th at 6:00 pm. A NIGHT OUT JUST FOR THE LADIES! Concert and Comedy: Featuring Fish artist Chris August and Comedian Leanne Morgan! All seats are general admission and doors open at 6:00PM. Come early for dinner from the gourmet food trucks, photo booth and more! VIP includes autographed CD, early entry at 5PM with upfront seating, plus Meet & Greet photo opp. Come and be a part of our Men's Ministry. Look and see all the fun we are having . . .
Our Bible School is for Pre-K ♦Youth ♦ Adults. We will feature CLASSES♦ MUSIC ♦SNACKS ♦GAMES ♦CRAFTS. LOOK AND SEE ALL THE FUN GOING ON! Each Sunday our children participate with us in worship celebration and are dismissed to Children's Church for a time of Bible learning fun and activities designed especially for them. This is a peek of what we did in April. The last Fun & Fellowship Project Day was a tremendous success with a good turn out. Continental breakfast began at 8:45 am with lunch at noon. There were many tasks and projects going on like, light flower bed gardening, washing windows, cleaning carpets, changing filters and lights, fence repairs, ceiling patching and some basic cleaning. LOOK AND SEE ALL THE FUN WE HAD! We are having Vacation Bible School this summer at El Camino. Our VBS team is looking for teachers, and those who can help or take a leadership responsibility for snacks, crafts, music and recreation. There is something for everyone to do. You will be totally blessed! 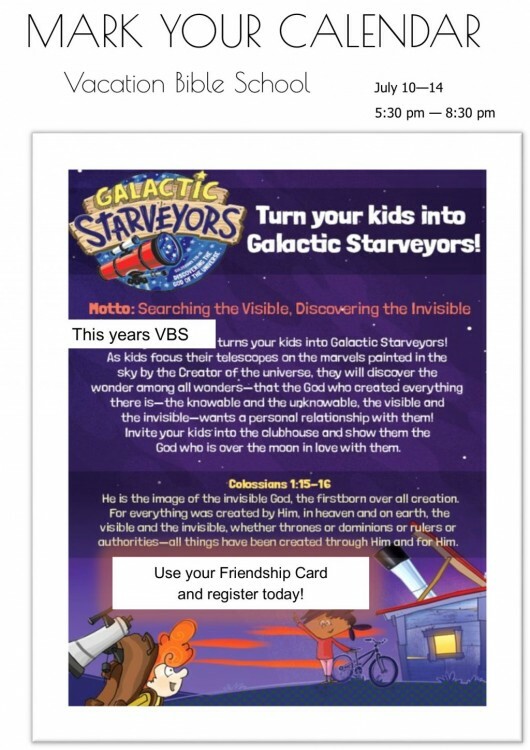 This years theme is Galactic Starveyors: Discovering the God of the Universe. Our Annual Fall Festival 2016 was a great success. Over all we had around 105 visitors and 50 volunteers helping with this event. We can say with confidence that everyone had a lot of fun playing games,winning prizes and enjoying the food. We need your help to make a great impact in our community through this year's event. We are looking for helpers for Promotion, Games & Prizes, Clothes Closet, Prayer and Food. Contact Greg Horton for more information (415) 684-4549. "Therefore, I urge you, brothers and sisters, in the view of God's mercy, to offer your bodies as a living sacrifice, holy and pleasing to God - this is your true and proper worship" (Romans 12:1-2). We will serve until “We all reach unity in the faith and in the knowledge of the Son of God and become mature, attaining to the whole measure of the fullness of Christ” Ephesians 4:13. We are here to help you find a place to grow and serve! This is a structured discipleship course for women. Open enrollment is currently closed.